IMPORTANT SAFETY RECALL: Are Your Home’s Electrical Panels Safe?IMPORTANT SAFETY RECALL: Are Your Home’s Electrical Panels Safe? IMPORTANT SAFETY RECALL: Are Your Home’s Electrical Panels Safe? The electrical panel is like the heart of your home. Circuits and wires carry electricity throughout your home like veins carry blood throughout the body. And just as blood cannot flow unless the heart is pumping, electricity cannot flow unless the electrical panel is working properly. So, when was the last time your home had a checkup? Electrical panels can develop problems over time and, as a result, can cause electrical fires. Ensuring your electrical panel is working properly can help ensure your home’s electrical safety. So is your electrical panel safe? Know What to Look For? If your home was built between 1950 and 1990, check to see if it is equipped with a Federal Pacific Electric (FPE) panel with Stab-Lok circuit breakers. These electrical panels are typically very clearly marked with the company name and logo, with the name Stab-Lok printed on the inside center or on the side panel. According to multiple tests, one in four Stab-Lok breakers are defective and will not properly trip off. In fact, an estimated 2,800 fires each year directly result from Federal Pacific panel breaker malfunction. If you have a Federal Pacific panel, Stab-Lok breakers, or certain Zinsco panels, call a qualified electrician in your area. “We have recently located these panels in several homes of our clients in the Severna Park, MD area, so residents should definitely be sure to check their panels and call us with any concerns” says co-owner Dave Crawford. If you suspect an issue with your electrical panel, you can trust TriStar Electric to get to the bottom of things. Our electricians will inspect your home’s electrical system, including your current panel box, and make sure that we answer all of your questions before drawing up our proposal. TriStar Electric can handle Panel Box Upgrades and Surge Protection. Our team of electricians has the experience and training needed to perform panel box upgrades and main panel surge protection safely and efficiently. 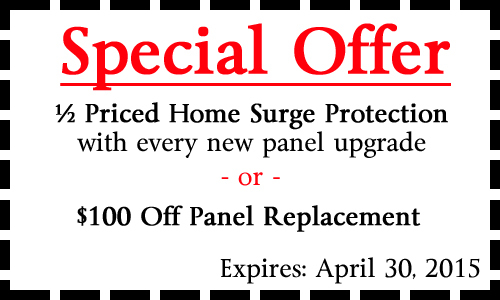 And from now until April 30, 2015 you can receive ½ Priced Home Surge Protection with every new panel upgrade, or $100 Off Panel Replacement. But hurry; this deal is only good until the end of April. TriStar Electric can also handle all permitting and, when the work is done, you can expect a follow up visit to ensure everything has been handled correctly. 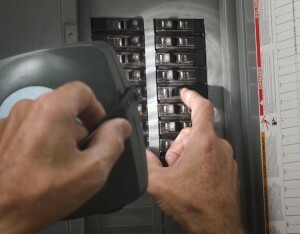 If you looking for Panel Replacement and Surge Protection in Maryland, you have come to the right place! Please contact TriStar Electric by calling 410-799-5791 or 301-384-8880 or fill out the contact form on our website. Our electricians will answer your questions and provide you with expert advice. 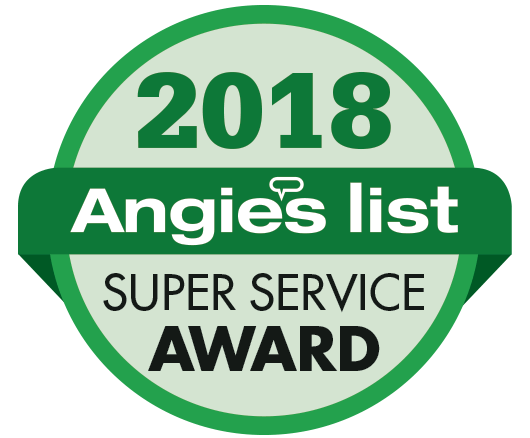 And did we mention that TriStar Electric is an Angie’s List member? Click Here to read our reviews. This entry was posted on Friday, March 13th, 2015 at 7:47 pm. Both comments and pings are currently closed.